On my list, my Mom is still my number one hero because even if my Dad went abroad, she juggles taking care of us and working at the same time. Just like Breeze, I salute to the heroes of the home. And to celebrate their presence in our lives, Breeze treated more than 19,000 hardworking moms across the Philippines to a day of rest, games and exciting surprises at the first-ever 1 Laba Day. The leading detergent brand took care of their laundry chores, washing a total of 481,536 clothes, in a series of events held simultaneously in multiple barangays in Metro Manila, Pangasinan, Batangas, Cebu, and Davao. 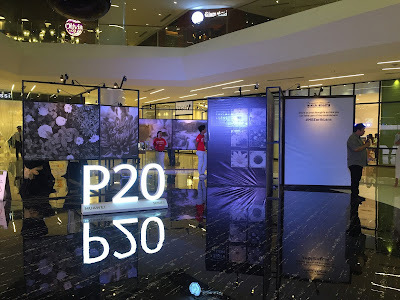 Celebrity moms and surprise guests, including Sige Moms Christine Bersola-Babao, Gladys Reyes and Dimples Romana, headlined the nationwide events. At Barangay Commonwealth in Quezon City, radio DJ Laila Chikadora also kept the crowd entertained with her witty jokes and led the fun bingo games where moms won bicycles, skateboards, inflatable swimming pools and other toys for their children. These prizes were meant to encourage moms to be Sige Moms who let their kids play and go on exciting adventures. While the moms enjoyed their day off from doing the laundry, Breeze Laba Ladies and Laba Machines, sponsored by campaign partners Electrolux, LG, Whirlpool and White Westinghouse, took care of washing their clothes. “We know how hardworking our mommies are, spending as much as three to four hours a day doing the laundry. Today, Breeze is taking care of washing their clothes so they can have some time for themselves and to have fun, as our way of thanking them and recognizing their admirable efforts,” said Mara Banson, Breeze brand manager. I'm not yet a Mom, but believe me when I say it's really hard to do laundry, especially when you have so many things to do. Good thing about Breeze is it boasts of a revolutionary formulation, it has ActivBleach that empowers mommies everywhere to take on their endless tasks, removing even the toughest of stains in just one wash. It is also safe for both white and colored clothes because Breeze has a four-enzyme technology that removes more types of stains and a patented whitening technology that delivers visible whiteness in just one wash.
Breeze with ActivBleach is also the first and only detergent brand with melamine perfume encapsulation technology that blooms in wash and bursts in wear, making sure that clothes keep smelling clean and fresh even when worn. It even has a unique active system for better foam profile and quicker lather, plus percarbonate TAED bleach that takes out bleachable stains without harming the environment. From September 1 to 7, mommies can also win a washing machine from Breeze in the Breeze 1Laba Challenge promo. To join, participants simply need to like the official Breeze Facebook page www.facebook.com/breezephilippines and look for the 1 Laba Day status update. 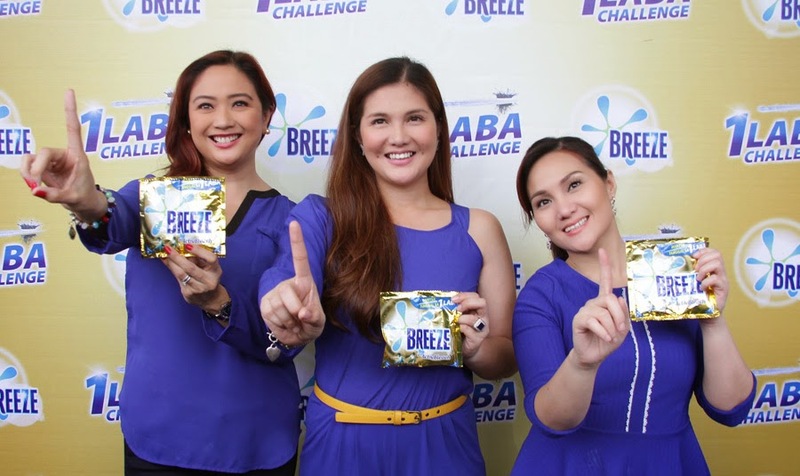 They should then leave a comment on the post, with a photo of themselves doing the 1 Laba pose holding a Breeze pack and using the hashtag #Breeze1Laba. Take on millions of stains in just one wash with Breeze with ActivBleach, available in three sizes at supermarkets and groceries nationwide: 70g, 700g and 1450g packs.